Posted on February 9, 2017 by thelostlighthouse	in Comics, Literature and tagged art, Ben Torres, comic book art, comic book reviews, comic books, comics, Jordan Boyd, Kingpin, Literature, Matthew Rosenberg, super hero comics, super heroes, superheroes, supervillains, TLL, Travis Lanham, villain, Wilson Fisk. The story is from the perspective of Sarah Dewey, a reporter who’s found herself writing boxing profiles. 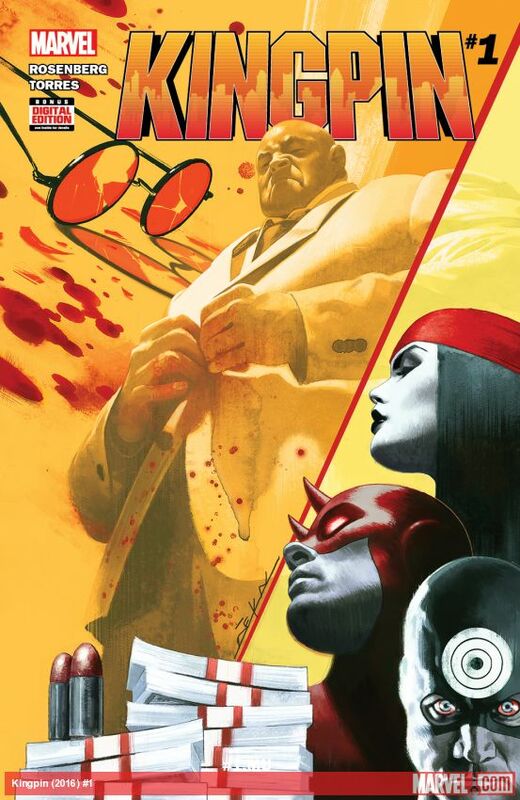 She’s approached by Wesley (those who have seen the Netflix Daredevil will be immediately familiar with him), and finds herself offered a unique opportunity of writing the Kingpin’s biography. The focus of the first issue is Sarah’s conflict in deciding whether or not to take Fisk up on the offer. Unsurprisingly, there are parallels between the Netflix and comic incarnations of Fisk. He’s presented as intelligent, dangerous, a little awkward but surprisingly charming. A very dark palette is adopted for the colours throughout the issue, changing briefly when we’re first introduced to Fisk. This really emphasises his status as main character to the series, despite the story not being from his perspective. Fisk himself is drawn in a very intimidating physique, with extremities supersized, combined with a cruel smile creating a slightly monstrous appearance. Individual panels are kept clear of clutter with no detail beyond the character themselves during many of the conversations. This helps keep the focus on the character development and plot which will lead the series. The real question is, can Torres and Boyd draw hands? In an issue like this the focus will be on gesticulation and hands in casual poses much more than clenched fists. Fisk’s stand out as they’re the same size as most character’s heads. Where possible a fair amount of personality is communicated through each character’s gestures, with their mannerisms showing through. 9/10 for hand drawing skills! 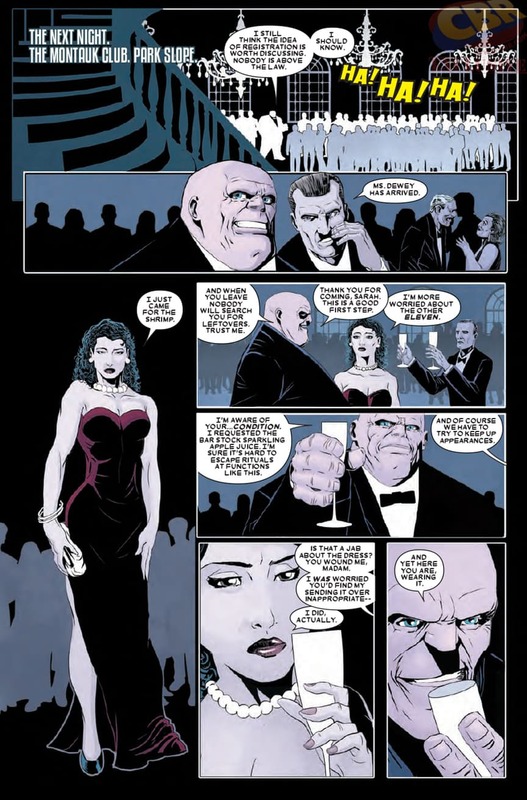 As the first issue of the series, it takes its time to set up the characters. If you’re hoping for an action packed explosive series it’s unlikely this will be for you. If you’re hoping for an exploration of a classic character, getting into detailed plots of corruption and drama then this absolutely will be for you.